Yesterday I mentioned that I will soon be launching a comic strip, and I suggested that the characters would likely be potatoes. 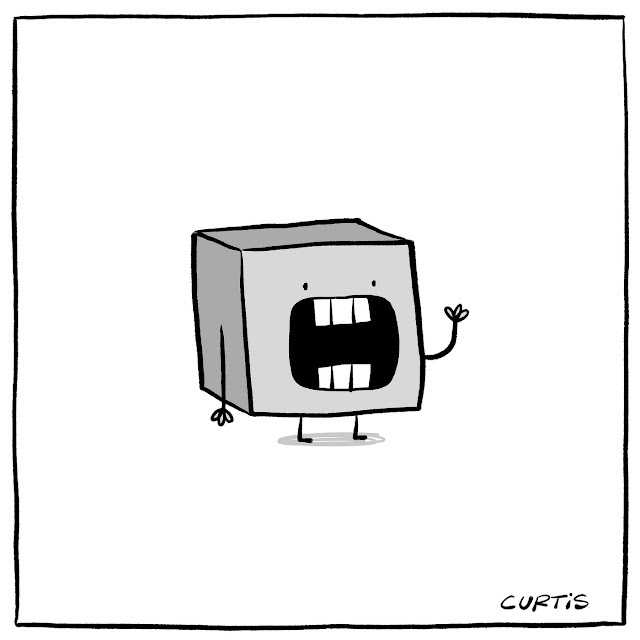 However, after posting that remark yesterday morning, I found myself thinking about a certain cube by the name of Gary. I literally thought about him all day. As ridiculous as this may sound, I felt as if I was abandoning him. I've become rather attached to the little square fella. The strip itself, at this point, isn't built around specific characters. The gags that I have written will work whether Gary is delivering the lines, or a potato, or a unicorn with a beard. What I discovered today, as I was organizing my character sketches, is that Gary somehow resonated with me more than all the others. So, needless to say, I have reconsidered my decision. You will all be seeing much more of Gary in the near future.